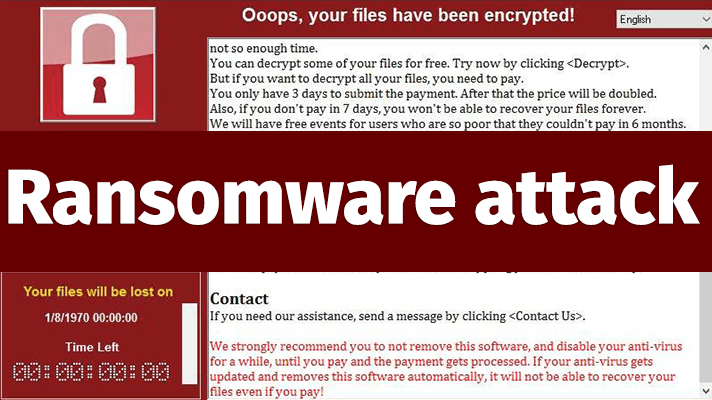 At what first looked like a cyber attack on hospitals located in the UK, but it is now apparent that this malicious “ransomware software” has far spread all over the world. Even Russia and the United States have been hit hard. Experts are referring to this as cyber-crime, and some are going as far as cyber-terrorism. How ransomware works are rather simple. It will arrive in an email that seems harmless enough containing either a link or an attachment. If you click the link or open the attachment, the malicious software is downloaded onto your computer, locking all of your files and then it spreads to your network, locking other computers. Then, a message pops up on your screen that if you want your data unlocked, you will need to pay a ransom. The currency requested is usually in BitCoin. The first thing you need to do is make sure you have the proper security software installed on your computers and your network. Next, make sure that software is up-to-date. One of the biggest issues for security breaches is software that is not updated. Finally, there is common sense. Never click a link or open an attachment if you don’t know the person. And if you do know the person, but the email seems a little odd, don’t click or open anything and contact the person by phone or text message to see if they sent it. Always be precautious as your data could be compromised if you are not.